Thursday, July 12, 2018, 11:30 a.m. – 12 p.m. It is story time at Neighborhood House High Point! 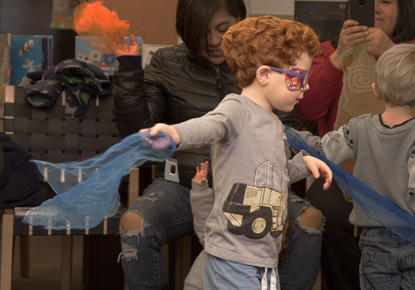 Bring your preschoolers and toddlers to the Family Center to enjoy stories, rhymes, songs and parachute games with our children's librarian.